Headaches are the most commonly complained about ailments, and people experience them at least once in their lives or even daily. There are many different types of headaches. 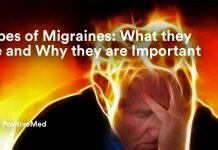 Many factors determine not only headaches as a symptom, but fervently highlight underlying conditions. Essentially, head pain is the symptom of another issue, either minor or severe. Thankfully, this symptom is treatable in a multitude of effective ways, including the four most common headaches that signal greater health issues. If you have ever opened your mouth only to experience a clicking sensation, you might have the condition known as TMJ. Though this is a condition, it is greatly affiliated with headaches that affect the cheeks, temples, shoulders, the neck, and even the ears. Often caused by grinding the teeth throughout the day or night or by simply containing a jaw abnormality, these headaches are as common as they are diagnosed and treated. Typically, professionals will recommend wearing a mouthguard when you sleep and to be mindful of any teeth clenching throughout the day. However, TMJ headaches are most often the cause of stress, so partaking in activities that reduce your overall stress level, like yoga, routine stretching, and walking, is essential. Often leaving the frontal face in discomfort are sinus headaches; they are often misdiagnosed as a migraine as well. The cheeks, eyes, and forehead are often sore to the touch with these headaches, and the causes are common allergies, infections, and sinusitis. The failure to treat sinus infections can have devastating, potentially fatal consequences, so it is best to visit a doctor when you have chronic sinus headaches. Consuming adequate vitamin C helps ward off infections; warm water opens the sinuses and helps dissipate concentrated congestion. Of course, plenty of fluids lessen the thickness of congestion and reduces inflammation. Orange or lemon tea are a great means to combine all three perspective cures. RELATED ARTICLE: HER HEADACHES SENT HER TO THE HOSPITAL. NOW LOOK AT HER MRI …IT’S SHOCKING!